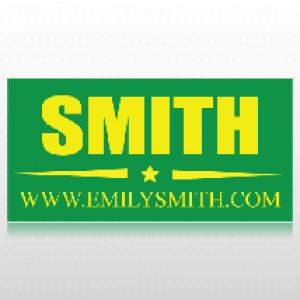 Emily Smith Green and yellow banner, with a star and web address. Customizable template with two material options. Custom size options available.